* The operating room and dental surgery. 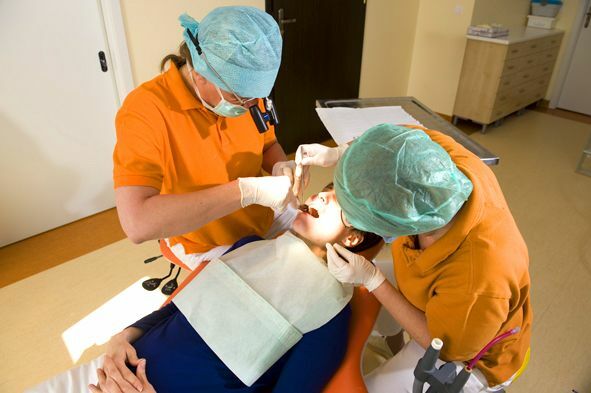 Here you perform the most complex surgical procedures under general anesthesia (general anesthesia) or local, under the full supervision of a physician anesthetist. 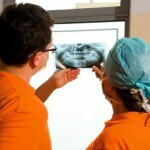 * II Cabinet East because of its equipment is suitable for treatment in dental care, cosmetic and prosthetic. 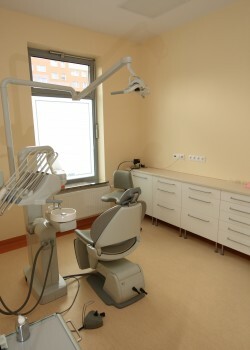 * III Western Cabinet, which performs the surgery and general dentistry for children. 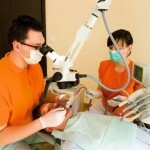 It is also equipped with a microscope to dental root canal treatment. Working in offices is supported through its own facilities including: X-ray laboratory equipped with X-ray unit with the function TROPHY point shooting digital, the latest generation of CT scanner for 3D imaging and panoramic pictures of the actual three-dimensional space with the diagnosis of implant function, the two cameras, with minimized radiation beneficial for patient. We have high quality sterilizer destylatornią GETINGE with water for treatments. 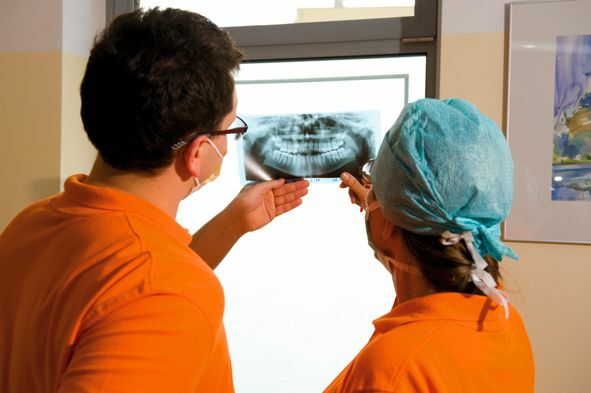 Our surgeries are equipped with the latest generation of unity reputable company XO DENTAL CARE – FLEX INTEGRAL, Carl Zeiss Jena microscope, surgical-implant dispenser for surgery, the apparatus for general anesthesia. 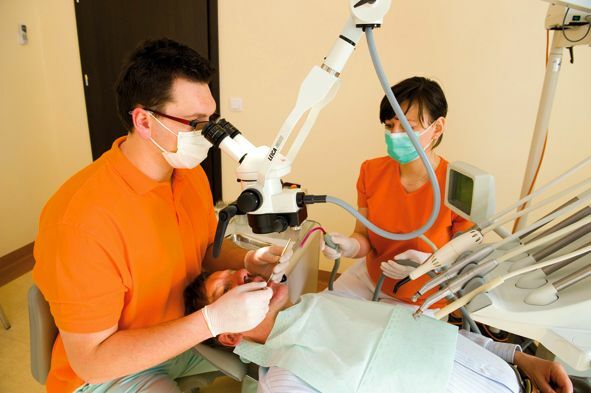 We have, inter alia, the latest ultrasonic scalers, biostimulating laser, intraoral cameras, autoclaves and ultrasonic cleaners. 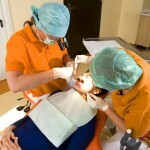 We are prepared to provide comprehensive dental care of adults, adolescents and children.